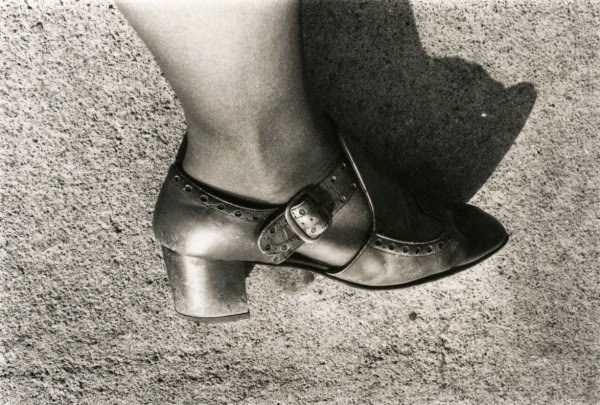 DeFeo often photographed, drew, and collaged the same simple object for several years. 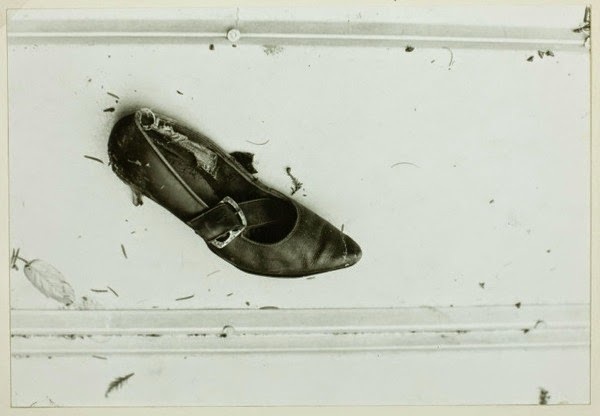 In one series from 1971—73, she concentrated on an old shoe that she had given to her dog, photographing it at close range to capture the full extent of wear and discoloring from teeth marks, dried saliva, and tough use. Through such serial repetition, she depicted the refuse of the artist's studio with obsessive care.